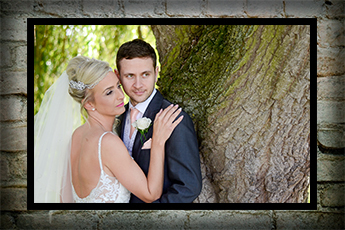 Wedding photography price packages, this is where you will find all of our wedding price lists, don’t forget to check out special offers. 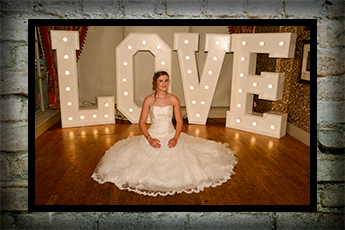 All our wedding packages are tailored to the Wedding couples personal requirements so if you feel that the packages shown here do not quite fit your needs please call me. Cutting of the cake – Through till 1st dance. You will own all the image rights from your package. All images taken on the day will be supplied in our online gallery. 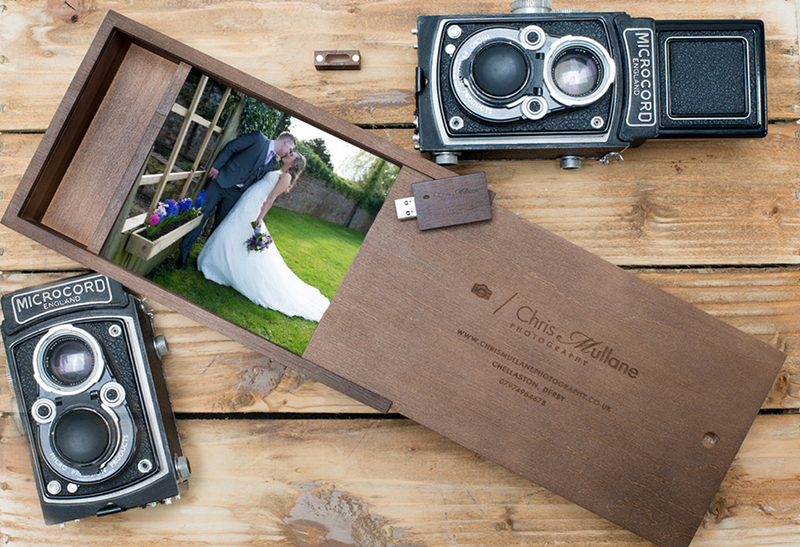 All images taken on the day will be edited and supplied on custom USB, in a beautiful wooden box, (with 25 7×5″ prints) for you to share and enjoy with friends & family. Due to high demand availability is limited please get in touch to see if your dates available. a small wedding as we may be able to offer a discount for you. Description: Includes Chris or Nick for full days coverage, Commencing with bridal party preparations right through to the first dance. Online gallery to share with friends & family. Up to 500 images edited in our style supplied on a memory stick free from copyright. Online back up on dropbox. Description: Includes a pre-wedding shoot. This can be a shoot in the studio or outdoor location within the local area. This includes two 18 x 13 cm framed photographs. 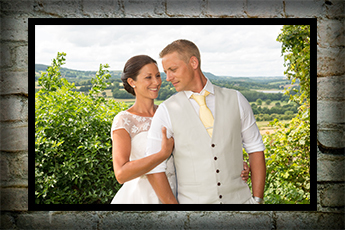 A Signature Board with a 26 x 20 cm photograph mounted onto 36 x 30 cm board with frame of your choice. Includes Chris or Nick for the whole day, Commencing with Bridal party preparations right through to the first dance. 1 Classic Landscape album, 38 x 29 cm, inclusive of up to 70 images over 24 pages. 2 Parent albums 19 x 15 cm inclusive of up to 70 images over 24 pages. 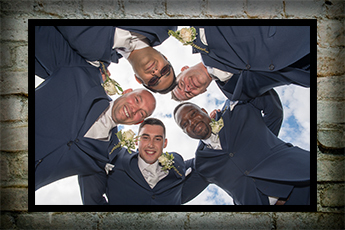 All images edited in our style supplied on a memory stick free from copyright. Dvd slide show of your favourite images and music uploaded to you tube to share on social media. 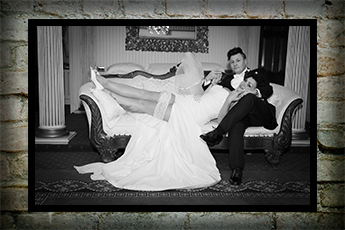 Description: A romantic way to capture some fabulous photographs before the big day of just the Bride and Groom. This can be a shoot in the studio or an outdoor shoot within the local area. This includes edit photos on disc to keep forever. Description: 1 Classic Landscape album, 38 x 29 cm, inclusive of up to 70 images over 24 pages. Description: Signature Board with a 26 x 20cm photograph mounted onto 36 x 30cm board with frame of your choice. 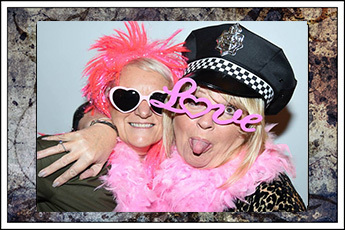 Derby Wedding Photo booth captures serious, silly, and candid moments, and have an extensive amount of fun and exciting props to use. Unlimited prints on the night (6×4) for you and all your guests. All we need is a 3×3 metre area with electricity. We are fully insured. The Derby Wedding Photo Booth has perfected the traditional photo booth experience. 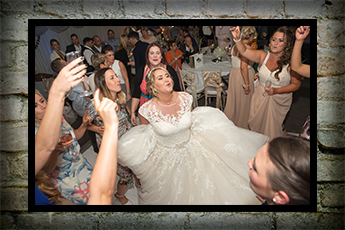 Your special event such as Weddings, Birthdays or any type of Parties is important to you and it’s also very important to us, thats why our package is just £275. Extra images – £40 per 100 free from copyright. Disclaimer: All wedding booking within 6 months previous to the wedding day require 50% deposit then the final 50% two weeks before the wedding day. If you are looking to book in advance of 6 months of your wedding day you can pay £200 deposit and the following balance on a monthly payment plan.We take card payment over the phone or at the studio, we also take pay pal or bacs transfer. Chris will not work alongside another photographer unless Chris has arranged this before the day. All deposits and final payments are non-refundable. My wife and me have just been to see our photos Chris took at our wedding. He did an absolute fantastic job. He was excellent on the day, he captured some amazing shots without being too obtrusive. He came up with some great ideas on the day and we’ve ended up with a great portfolio of photos. We would recommend him to anyone who’s getting married or having a special event. Overall great photographer and great professional. Chris photographed our wedding and did such an amazing job. Nothing was too much trouble, he listened to any specific requests we had and did everything possible to achieve what we wanted. It has been a very enjoyable experience working with Chris from start to finish and the results are fantastic! Chris is a talented and professional photographer. He comes highly recommended and you will not be disappointed! Thank you for everything Chris, we hope to see you again.